And why we don't need SP to Lucid Dream. Sleep Paralysis (SP) is one thing, and sensations we feel as we are falling asleep or during WILDing are entirely different thing. They are both legit events, they can happen at same time but they are unrelated. Automatic condition that our body starts after we start dreaming. It will paralyze our muscles so we don't move while dreaming. Any vibrations, movement, falling, flying, body light or heavy, visual, tactile or auditory hallucinations, etc. are normal sensations of our body falling asleep that we notice only because our mind is falling asleep a bit later than our body. Unfortunatelly, these 2 events are frequently, and mistakenly both called SP. Please read the posts below in spoilers and post your question if there are any. Yes, "they" are indeed making LD'ing harder by elevating SP to a necessary requirement or goal of LD'ing. With SP now accepted as a practically institutional (if entirely mythical) step toward lucidity (especially with WILD), many novices are truly barricaded from becoming lucid because -- even during occasions when they are well on their way to a LD -- they abandon their effort because they never "got to SP." The sad irony of all this is that, as Gab mentioned, the SP that everyone is talking about is actually REM atonia (a normal function that holds your body still while dreaming so you won't act out the things your dream body is doing, but from which you can consciously exit any time you wish), or just a state of deep relaxation. Actual SP (as you seem to know, from the OP) generally occurs only upon waking, when your mind emerges from sleep before your body, and you cannot break the paralysis at all until your body catches up. Bottom line: Yes, elevating SP to a necessary component of LD'ing can cause a mental block, or barricade between you and lucidity. Try not to make it too important... and I suggest too that you try to follow the links Gab provided. Unless you have a medical condition that puts you in sleep paralysis when you are not in REM, you will not notice SP. SP starts only AFTER you start dreaming. By then you are already asleep and either having a non-lucid dream, or you are WILDing and having a lucid dream. In both cases you don't notice the SP. SP is condition our body starts to immobilize us when we are dreaming, so we don't hurt ourselves. It's when we can't move at all, no matter how hard we try. It's not when it's really hard to move because our body is so relaxed and we don't really want or care to move. When our body is falling asleep it comes with all kinds of weird sensation. We normally don't notice them because our mind is falling asleep almost at the same time as body does. But when we WILD, our mind stays aware and we notice them. They can be tactile, auditory, sensory or visual. We can feel, see, hear things like vibrations, body getting lighter/heavier, all kinds of tingling, relaxation sensation, falling down, sinking through bed, hearing all kinds of different sounds, seeing images or even movies. These can also happen when we are in SP because we are in REM and dreaming, but they don't happen because we are in SP. They happen because body is falling asleep. The only indicator of SP - sleep paralysis - is when we can't move no matter what. The confusion started years ago before any good information from Lucid dreamers was available. When all "scary stuff" happening while falling asleep was thrown into one bag and labeled SP. But now we know better as you can see in these 2 threads put together by our members with decades of experience in lucid dreaming and sleeping (haha). To all the good folks that are replying to questions on this forum - I thank you. I would like to invite you, the new generation of lucid dreamers and helpers on this forum to helps us dispel the myth of SP. SP happens only after we start dreaming. By then we are asleep and we don't notice. It's not supposed to be noticed. It's a defense mechanism that our body starts so we don't move when we are dreaming. That said, sometimes it is possible to notice SP. It's when our body fails to turn it off the moment we wake up, or it turns it on just a bit too early. This happens infrequently though and that's why it's called a disorder. When we WILD, we may notice SP if we try to move and we can't. But normally even then our body realizes we are awake and it will stop SP right away. That's why we try not to test if we are in SP or not when we WILD. Also, because SP is not a goal or stepping stone or something we need to reach in order to have a LD. I also have to note, that what some people call SP is not SP at all. Vibrations, sensations of body being light, movement, getting relaxed, extremities falling asleep, hearing things, seeing things... these are not SP. They are signs of body getting relaxed and falling asleep and maybe even already fallen asleep, while our mind is still awake noticing all these things. If you are completely immobilized to the point, that you can't move no matter how hard you try, then you are right and you are in SP. But if you are talking about the buzzing, body feeling heavy or super relaxed, all kinds of different sounds, sensations of being moved or distorted - these are all just normal signs or falling asleep. They are called hypnagogic hallucinations and they are all just that - hallucinations. They can not hurt you in any way. Some people find them uncomfortable and even painfull, some enjoyable and exciting. I have just woken up from a nap with some awesome HH - I was falling through my mattress for hundreds of feet through a elevator like shaft and the sensation was for a lack of better word, sensational Previously, I have felt great pressure on my body, on head, felt like I was lifted up and twisted into a pretzel with my joints being twisted in unreal manner, felt flying, falling, as if being in a hammock, on a water bed - and I enjoyed every single one of them. So I would say that all of this is normal in our world of lucid dreamers. Can you describe your SP? Lot's of times there is a confusion, as SP used to be described as vibrations, feeling of heaviness, floatiness, movements, feeling that it would be hard to move. All of these you can get when you just relaxing and you start to fall asleep while keeping your mind aware. But REM atonia is something that everybody gets every single night every single time when we start to dream. It paralyzes muscles, so we don't act out our dreams. You can't induce it just by laying still. Then I would be paralyzed everytime I chill on sofa watching TV. It's something that we have no control over. If you falling asleep and you are very close to dreaming, or you waking up and you feel paralyzed, the name REM atonia changes to Sleep paralysis. It is a condition some people have chronicly. For majority of population it's a 1-2 a lifetime experience. When it happens, something went wrong. Atonia failed to disangage when it should have, or it kicked in prematurely. But you wake up numerous times at night, many times straight from a dream and you are not in SP/atonia, because it worked exactly as it should. Yes, when you wake up paralyzed, you have SP. Paralyzed, as in you can't move at all. Not that it's kinda hard to move. Vibrations, or other sensations, are not sign of SP. If you happen to get them at the same time, that doesn't mean, they are related. They just happened at the same time. Yes, SP is a hickup, as you doctor put it. It's a disorder that some people get. If you get it just by laying still, you have a disorder. Majority of population can lay still for hours and not get SP, because they don't have this disorder. For majority of population, REM atonia starts after we start to dream and it ends the moment you wake up or stop dreaming. If it doesn't, you have SP. Sleep paralysis is when our body is immobilized after we start to dream. Simple defense mechanizm, so we don't act out our dreams and kick a wall or punch someone sleeping next to us, or start walking, screeming, anything pretty much that we are doing in a dream at that moment. REM atonia, which is a normal state our body engages after we enter REM state and start to dream, happens to everybody every nite, every time we dream. It starts automatically and ends automatically the moment the REM is over or we woke up. Sometimes it can happen that REM atonia starts while we are still aware, or doesn't end the moment we wake up. Those instances of REM atonia are called SP - sleep paralysis. It can be scary if we don't know what is happening. But if we know what it is, it can actually be used to enter a LD, since we are already half way there - all nice and relaxed. Just relax and try to enter another dream while keeping your awareness. Or if you want to end SP, start by changing your breathing. Make it faster, and your body will realize that YOU are in control of it, so you must be awake and it will end the SP. Also, try to wiggle tips of your fingers and toes. Everything else is paralyzed. But the point is to show your body that you are awake so it ends the SP. When lucid dreamers WILD, we get into state when we are still aware, but already dreaming. In that moment we could be already in REM atonia. But normally we don't even notice, because why whould we? SP is not a goal of lucid dreaming, and testing if we are in SP is counterproductive, since moving and testing if we are in SP could and would get us out of the state when we are already in a lucid dream. 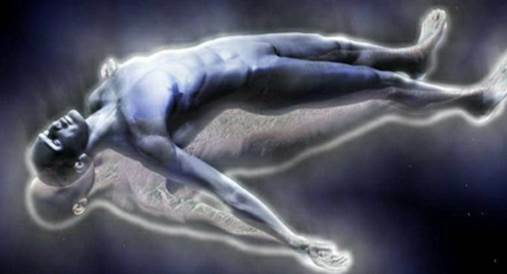 So, SP is anormal state our body enters us into every time we dream. Nothing supernatural about it. SP (REM Atonia) it's an involuntary action and will happen whether we notice it or not, right at the proper time when it's suppose to. It doesn't matter if we notice it or not. It's not a LDing goal or something we need to reach in order to move forward in the WILDing attempt. In fact, trying to reach SP will hamper your WILDing, because you may never notice it, not even once in your whole life. Not even when you are WILDing or DEILDing and you in fact are in SP because you are in REM. Last edited by gab; 06-07-2016 at 03:20 AM. Sageous, Phased, Kuyarei and 6 others like this. I had an episode today, I am scared. It has never happened this way, I am just trying to understand or find an answer. Last edited by AstronomyDomine; 04-12-2017 at 04:21 PM. "sleep paralysis" usually is demons sitting on your chest trying to stop your heart. It's not always demons, though, so don't be afraid. If it hurts, sit up fast and push the demon off of your chest. Sometimes right before it happens I see a gruesome, witch-like demon. I see my foster grandma and suddenly she looks like a demon, and I feel pressure on my chest and I instantly wake up and push her/it off of my chest. Occasionally it really is "sleep paralysis" and it can be enjoyable, knowing you are dreaming, or not dreaming but hallucinating, with pleasant or Divine visions. It might feel uncomfortable but sometimes it feels peaceful. I think it's the second coming so demonic sleep paralysis happens less often. It happened to me for a long time. Sleep paralysis is a good opportuntity to fall back into sleep and have a lucid dream (sorry my spelling is off my first language is archangel...I forget it though). Another thing is it's more likely to happen if you fall asleep on your back, so if you want to avoid it (if it's scary and nightmarish) lay on your side as you fall asleep. If it's usually peaceful, go to bed on your back and it might be more likely to happen. Remember that you can fight the paralysis and sit up and go to your dream journal to write down your dream, nightmare or not. If it is a nightmare, go back into it lucid (or try to) and transmute the dream and turn it into a peaceful exploration of your consciousness. Don't pay attention to demonic images. You are getting them because demons talk to the back of your mind while you are sleeping, and your soul remembers that and creates nightmarish images. I think it is the soul that causes dreaming, and other times God gives you dreams (Divine Visions). Sleep paralysis is NOT anything sitting on your chest. That's what people used to say before science discovered what sleep paralysis is. Sleep paralysis (SP) is simply just that. Our body being paralyzed, so we can't move. That happens after we start dreaming. If we were still able to move when dreaming, we would act out our dreams and perhaps hurt ourselves or those around us. We are already dreaming when this paralysis hits, which is correctly called REM atonia (literally paralysis when in REM). And since we are dreaming, we see dream images. REM atonia starts the moment we start dreaming, and ends the moment the dream ends, or we wake up. Now, sometimes something goes wrong, and REM atonia doesn't turn off when we wake up. This can happen a couple times in a lifetime, or even never. For some people it happens more often. Then it's called SP disorder. Sleep paralysis (SP) - same atonia, but it's called this when we notice it. So when we are still paralyzed when we are awake, our mind can't really explain why (if we never heard of this happening before), and makes up a "logical" explanation. Something must be holding us down. As since this is a scary event (again, if we don't know this can happen), we imagine all kinds of scary scenarios. In olden times, those were demons. Now they could be aliens. But if you know this can happen, it's just a feeling that you can't move and you don't get scared, you don't get any scary images either. Lucid dreamers practicing WILD method of lucid dream initiation theoretically go through this paralysis. But most of us never experience it. Because by then we are dreaming and have better things to do than getting freaked out by non-existing monsters. Also, many sleep on the back and don't get nightmares. It's very subjective. And yes, if you happen to notice that you can't move, you can just relax and go back into a dream. Since you are awake, it will be a lucid! But if you don't like it, you can break free from paralysis. Not by sitting up, because remember, you are paralyzed. Trying to move IS what freaks us out. But you can let your mind know, that you are awake, so it turns off SP. You do that by simply showing your mind that you are in control same was as when you are awake. By changing your breathing speed, by trying to wiggle tips of your fingers or toes. Or try and levitate out, or roll out of your body for adventure in dream/astral lands. Maslak, Jdoggad, AstronomyDomine and 3 others like this. I agree that that happens, and that it's not demons. When you are paralyzed you don't feel pain or big pressure. You just can't feel. I agree sometimes it's just the brain doing it's work. But sometimes it IS actually demons. I understand you might not be Christian, but I know in my heart that I am correct. Sleep paralysis happened to me. I was fully conscious I was sleeping but I wasn't dreaming but I couldn't move and was feeling Jeff's pain. Jeff was one of my friends that became an enemy. I thought about getting up and knowing the pain would stop but I couldn't. I know that if I drifted into REM I would dream so I didn't try to get up, but that didn't happen. I was in that condition for like one or two hours. It was both peaceful and painful but not at all scary like demonic SP is. I am new to DreamViews so bare with me. I am so relieved to see that this place does not teach SP as a necessary step for WILDing. I have been attempting WILDs lately and have never experienced paralysis during them, and usually give up eventually because of this. I am curious, though-- I have experienced real paralysis after waking from sleep several times. It has never been scary for me (in fact I was kind of baffled when I learned most people are frightened of it), and I always sort of enjoyed the feeling. If this were to happen in the middle of the night, is it possible to WILD from that state, or should I wait for it to fade first before attempting transition into dream? To be clear, I have never fallen back to sleep while paralyzed before so I am not sure it is possible; usually I enjoy it for awhile before it fades and I regain my ability to move. I'm sure it is. In fact, I believe I managed to pull it off a couple of times in my early LDing days. My SP experiences were like yours: never really scary, just annoying at worst, though nowadays I hardly ever experience it anymore for some reason. The SP / REM atonia normally happens when you are in or near REM, where most vivid dreams occur, so if you're already in it, you're probably pretty much there already. The only issue might be if you're already waking up and it fades before you have a chance to get dream imagery going again. during my first attemps to OBE i had scary SP. for example i saw dark entities who wanted to pull me out my body. but after many trial my SP are very much like the normal waking up. I see no jinn or demon or dark being unless i invite them to my OBE. there are good resources for you to study these things. for example robert bruce in his book "psychic self defence" has mentioned many astral beings that you might see in your SP. if you use shielding methods then you are safe and they can't grab your energy. Last edited by PrisonPlanet; 01-27-2018 at 09:10 AM. Due to the nature of science and hypothesis testing, no one can ever say anything doesn't exist-- but that doesn't mean it does. The burden of proof lies with whomever makes the assertion. Think of it this way: if I say an invisible baby elephant follows me around and shoplifts from wherever I go, no one is expected to believe me until I've provided solid, non-circumstantial evidence. Because we can never prove the non-existence of something, we must draw conclusions based on the fact that we have not seen any evidence that it does, and take into consideration evidence for simpler, alternative hypotheses; for example, maybe you have a video of me stealing from your store-- that still doesn't prove that the elephant doesn't exist, but it provides evidence for a different explanation of events. LighrkVader, TravisE, Kaan and 3 others like this. Courga unfortunately i dont understand your analogy. In my opinion the whole burden of proof thing only applies if your claim can be proven scientifically. "Unsciencable" and beliefs don't have to be proven to be valuable. because again, it depends on what you want. Being a blowhard and telling someone to prove something unprovable is meaningless, insensitive, closed minded and estranging. We do ourselves and everybody else a favor by being humble when sharing our beliefs. And also by being humble when we disagree with someone elses. Last edited by LighrkVader; 01-29-2018 at 01:09 AM. Let me say ... paralysis is a function of certain entities we encounter in sleep. I call them 'rubber souls'. And don't get me wrong. It can be really scary. But please understand. YOU ARE NOT ALONE. Sleep paralysis before NREM sleep. Experiences, annoyance and questions. Sleep Paralysis or Dream about sleep paralysis? Sleep paralysis? People move in their sleep/ sleepwalk most nights? Forget Sleep Paralysis, are you kidding me?